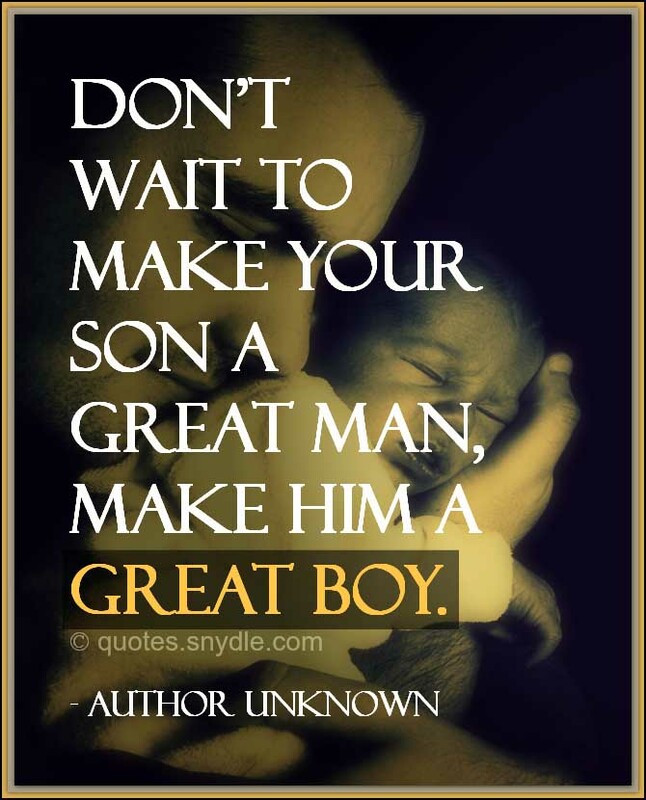 Don’t wait to make your son a great man – make him a great boy. 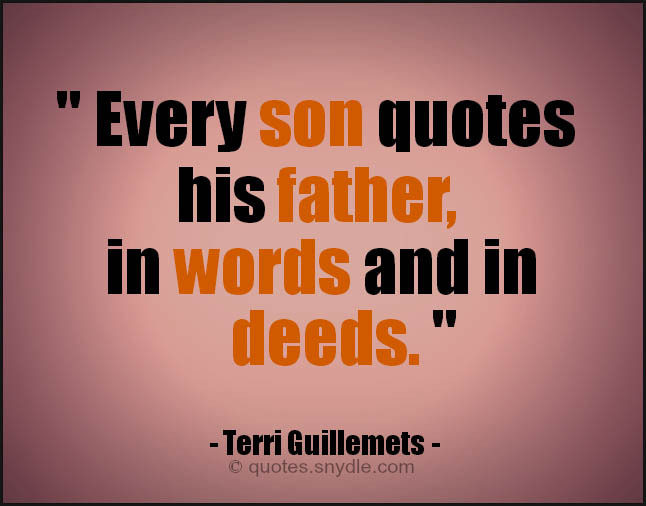 Every son quotes his father, in words and in deeds. Tiger father begets tiger son. 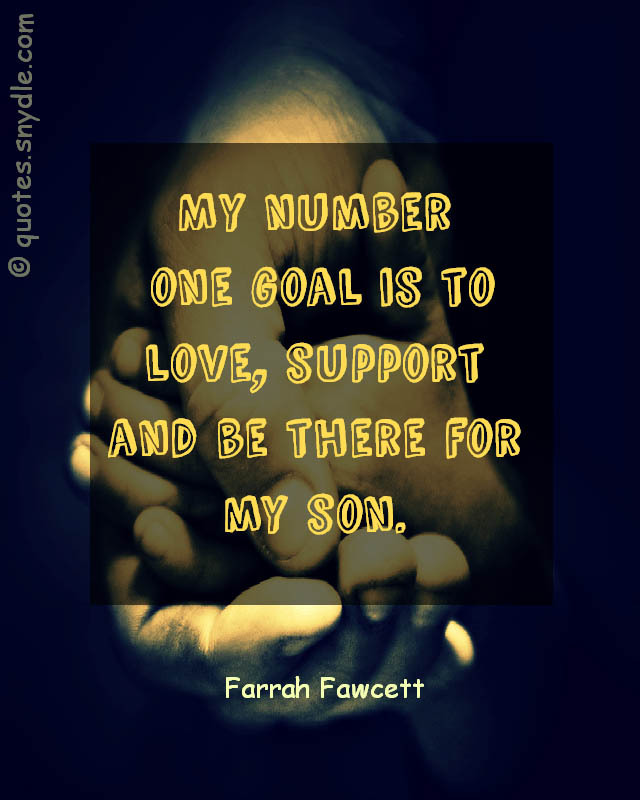 My number one goal is to love, support and be there for my son. 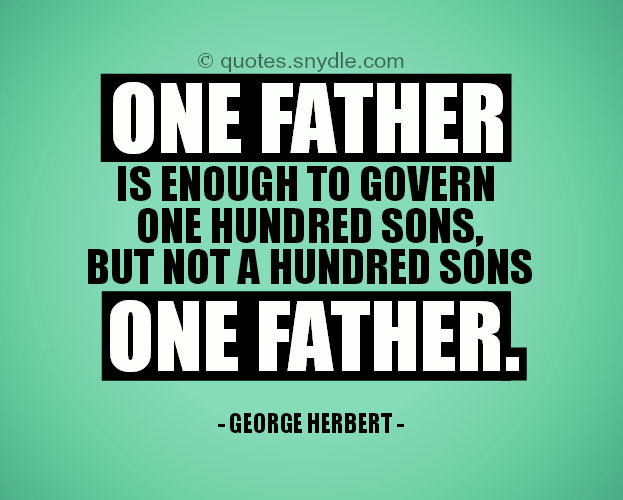 The father is always a Republican toward his son, and his mother’s always a Democrat. 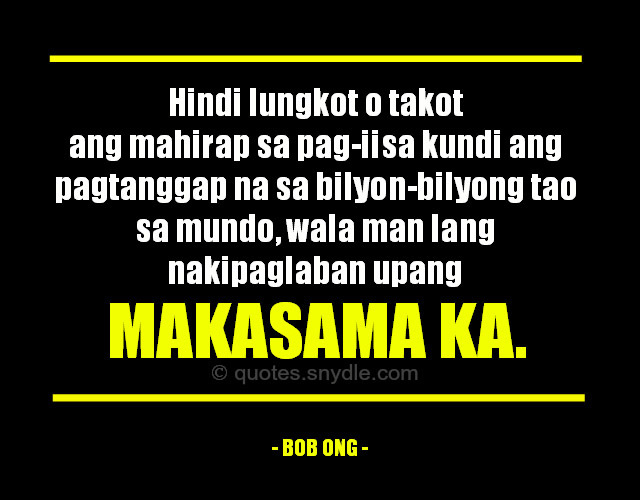 – Walter M. Schirra, Sr. 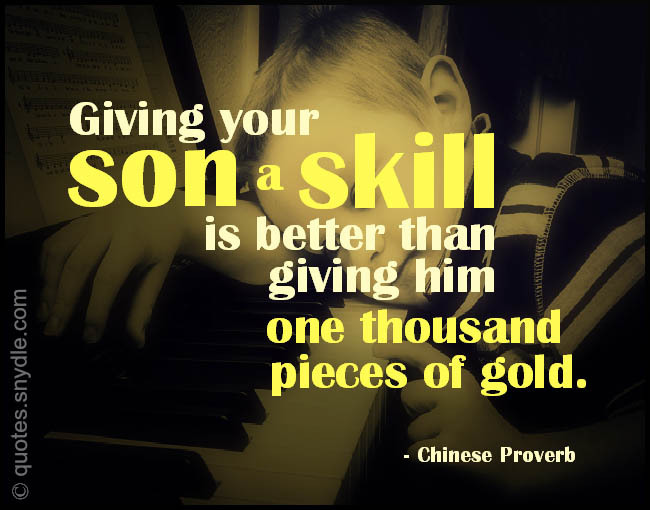 Giving your son a skill is better than giving him one thousand pieces of gold. 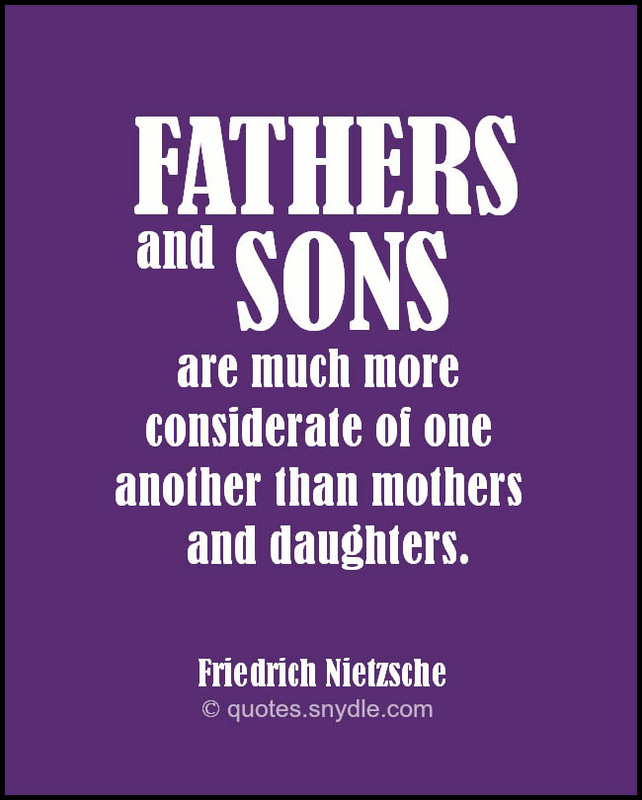 I wish to impress these matters upon you, because you are the eldest of your father’s family. 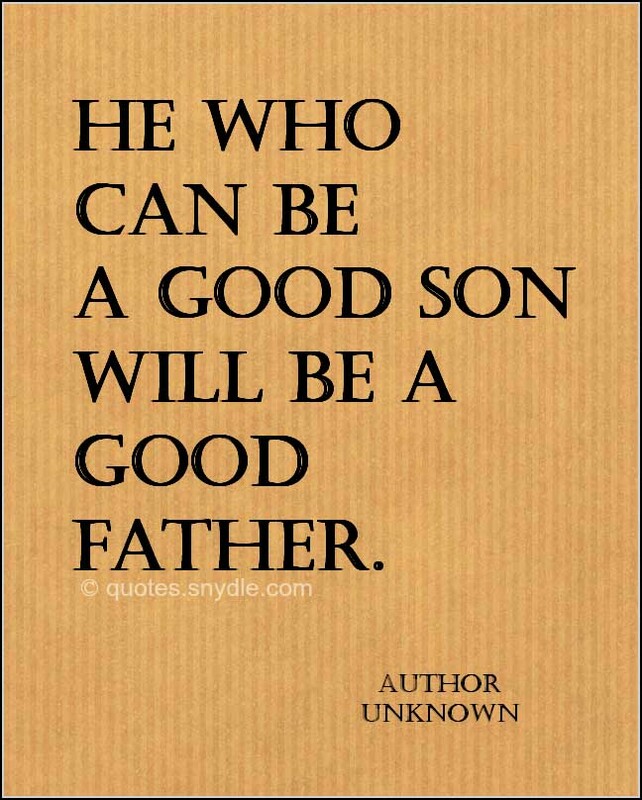 The oldest son should consider himself the second father of the family. 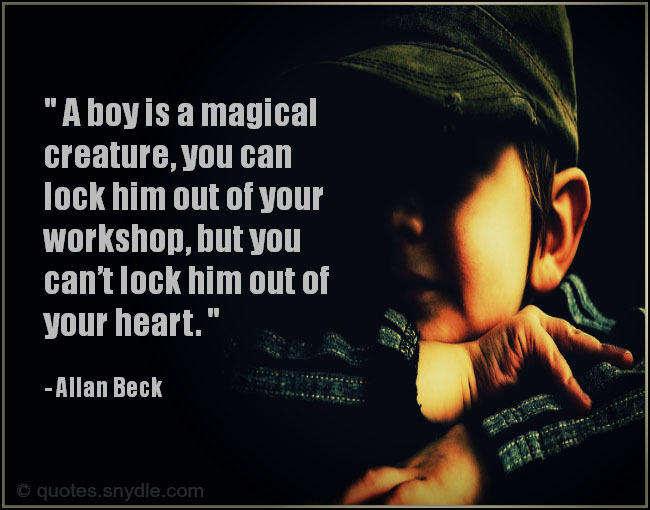 A boy is a magical creature – you can lock him out of your workshop, but you can’t lock him out of your heart. whose beloved son she wasn’t. 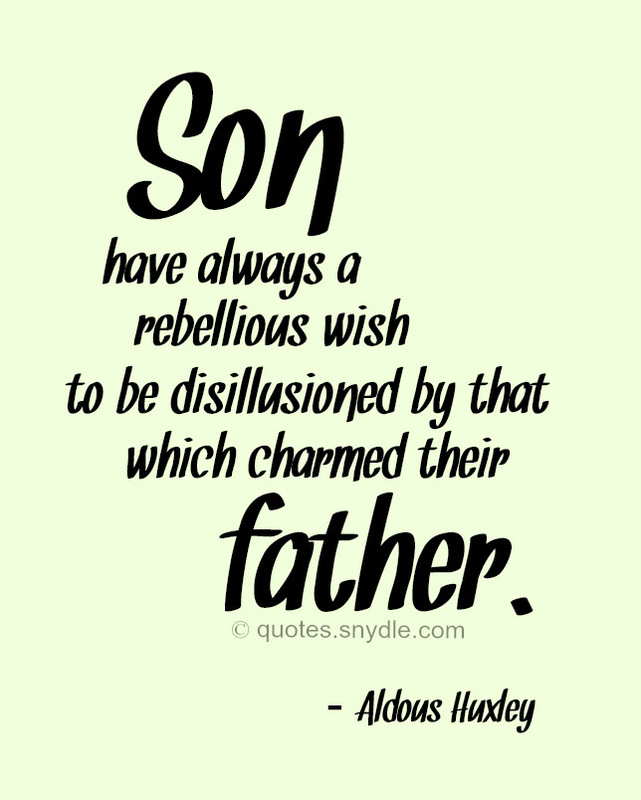 I must study politics and war that my sons may have liberty to study mathematics and philosophy…. 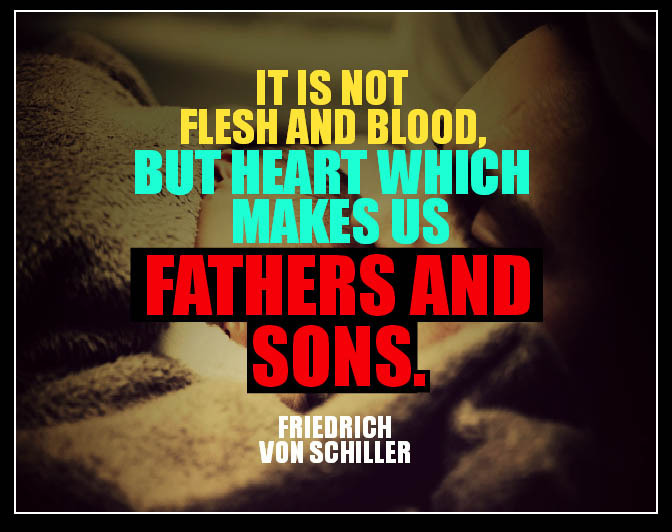 No one would be foolish enough to choose war over peace – in peace sons bury their fathers, but in war fathers bury their sons. 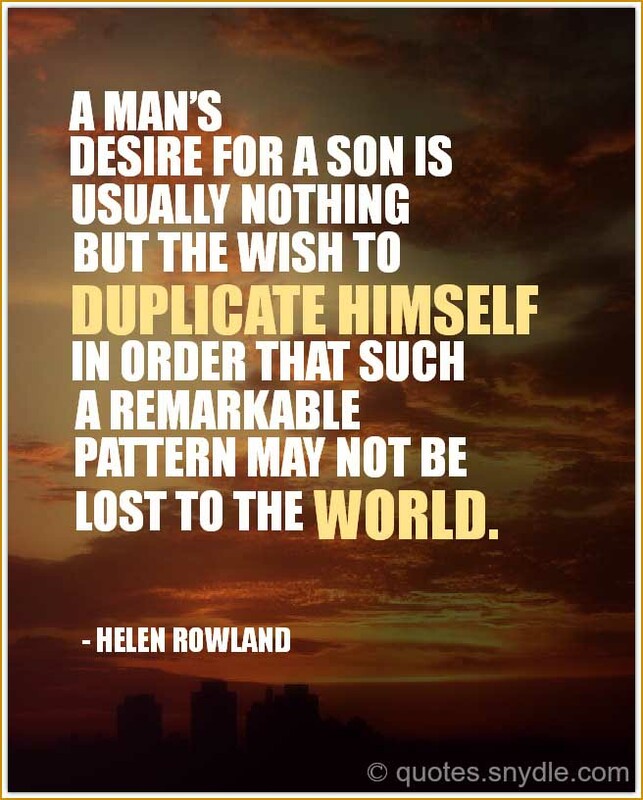 A man’s desire for a son is usually nothing but the wish to duplicate himself in order that such a remarkable pattern may not be lost to the world. 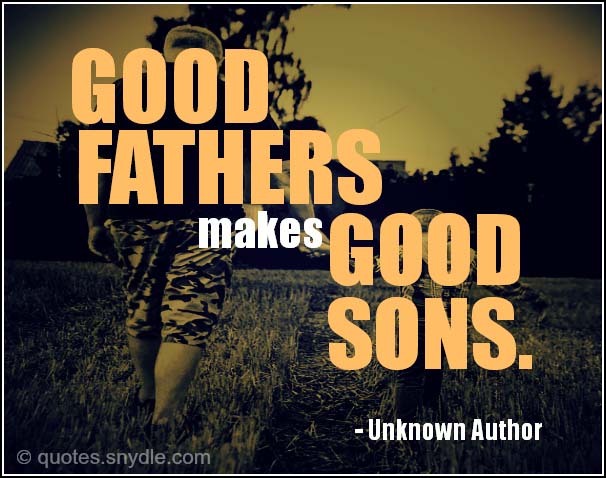 Your children are not your children. They are the sons and daughters of Life’s longing for itself. 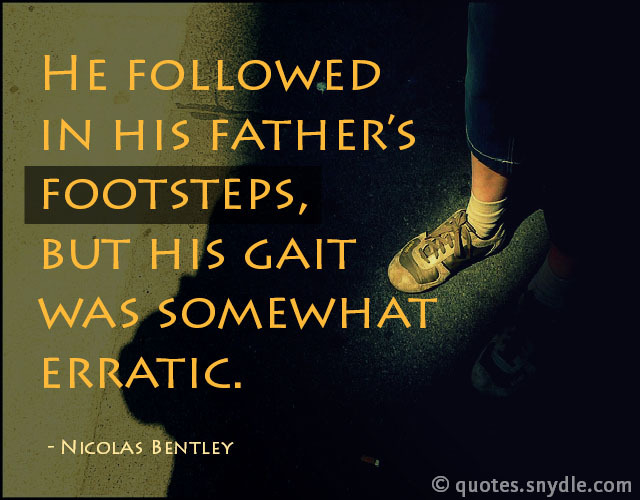 He followed in his father’s footsteps, but his gait was somewhat erratic. 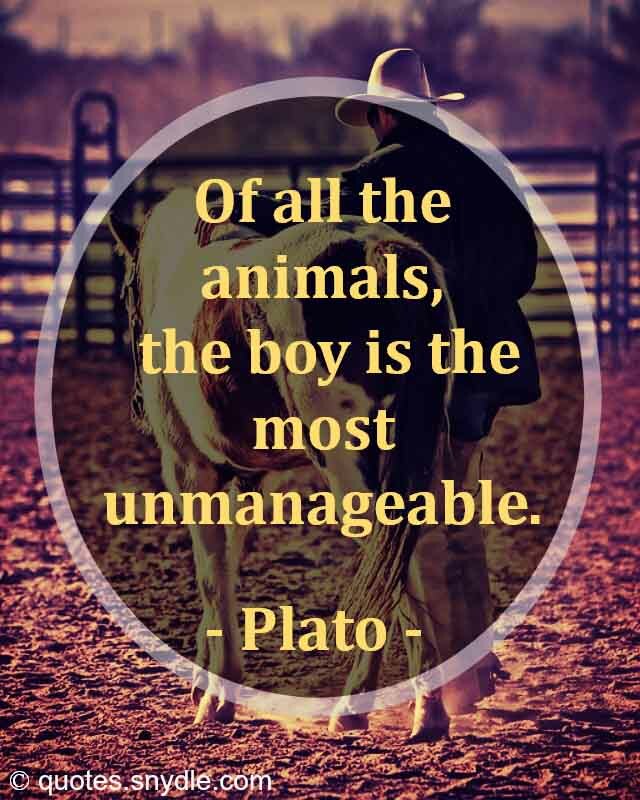 It takes one woman twenty years to make a man of her son – and another woman twenty minutes to make a fool of him. 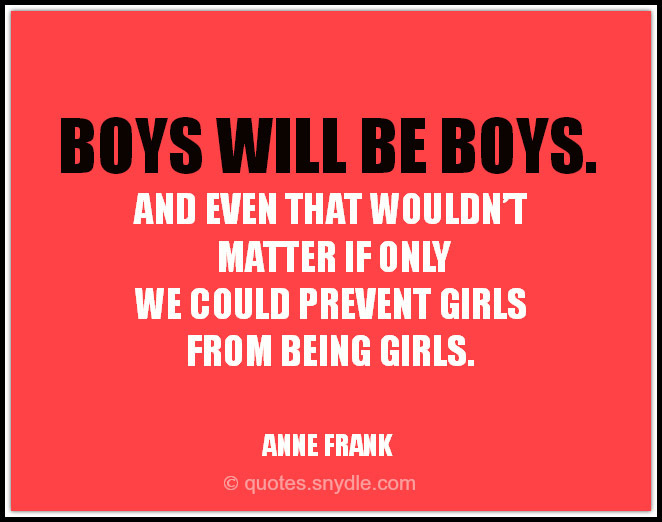 Boys are beyond the range of anyone’s sure understanding, at least when they are between the ages of 18 months and 90 years.